Today is that time of year again when my dear friend, Martini Max, is having his birthday. This year’s is a milestone – one that ends in a zero. Personally, I hate those and the ones that end in nines the most, but come to think of it I’m not too crazy about the others that end in all the numbers in-between, either. Yet, this is Max’s birthday and since he loves presents and attention, he is absorbing his milestone like a gin-soaked olive. A few months ago when I visited the Francis Ford Coppola Winery in Geyserville, California, I saw a tee shirt with a dancing devil that looked very Max to me. It’s made out of 70% bamboo, which is so dual purpose. If he ever locks himself out of his apartment while wearing it in the rain, it could double as shelter. Guy losing his head over Max's t-shirt. Finding Max’s gift was easy, and Papyrus had a decent snarky birthday card. All I had to do was wrap his present, sign his card, and visit my neighborhood post office to ship it Priority Mail. 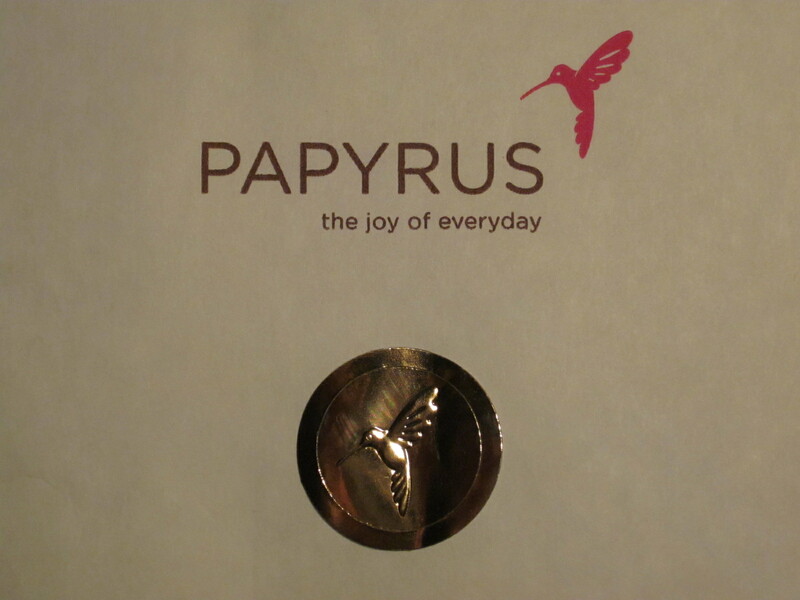 I did not anticipate blowing half my day and most of my mind struggling to peel open Papyrus’s gold foil logo sticker that I assume is meant to seal their cards. Now I realize it could just as easily lead to complete mental collapse. Since my nails are trim I lack the necessary talons required to slip in-between the tightly sealed lip of the sticker and its paper backing. In addition, that paper backing is not scored so cracking and peeling it is not an option. Plus, I realized that my eyesight is going the way of my hearing, and although I’m not fully channeling Helen Keller, I’m having some difficulty seeing objects up close. Yet I am not a quitter; I knew I needed to use an implement. I proceeded to ransack my apartment in search of the X-acto knife I purchased in 1978 when I studied Josef Albers color theory at UCLA. I always knew that taking that class would eventually come in handy for more than selecting the color of my rug and a set of spatulas. After upending all of my furniture and tearing through every drawer, I found it sitting in front of me in the pen cup on my writing table. Me: Huh, that might have impressed a pirate. Bing: I couldn’t be more surprised if I won the Kentucky Derby. Then, I whinnied and galloped to the post office shortly before closing time. This entry was posted in Humor and tagged birthday card, francis ford coppola director's cut t-shirt. Bookmark the permalink. God love ya Leo for the wonderful piece and for remembering my Bing Crosby history lesson that I must have given you circa 1993 after a gin soaked lunch at O’Neils! But I gotta tell ya, I almost didn’t make it this far… In the NYTimes, I ran across you, which let me all the way to humorpress.com. I was astonished that it even existed. I’ve been on a quest for humor writing for like 2 or 3 hundred years now, but had finally given up, with a dark thoughts of self-doubt spreading ’round my head along the lines of… maybe it’s meeee, and not theeeem..
BUT… after wading thru so much trivial life trash ramblings, I realized it shoulda been named ‘humorless.com’, I gave up, then tried one last shot at your own trivial life trash ramblings.. (don’t be too excited here, you really only appeared again on a still open tab while I was hammering my way back out of the twisted journey to that deeply disappointing site). …and then while sampling a few last crumbs from you, I actually laughed out loud, nearly spilling my morning energy snack of Apple Blasts (a cheap, cardboard-like version of Apple Jacks) served up in my favorite Tony-the-Tiger giant cup..
Gee, thanks Bob. Cereal with the texture and flavor of wood shavings is among my top rants. Nice to know you’re a kindred sticker-peeler-struggler (try saying that three times fast), Kel. How in the world you found that post is pretty amazing. Thanks for visiting LA! I hope if you return whatever I have up on my site is not a dud. I’ve written more than a few that make me wince, gag and want to hide. 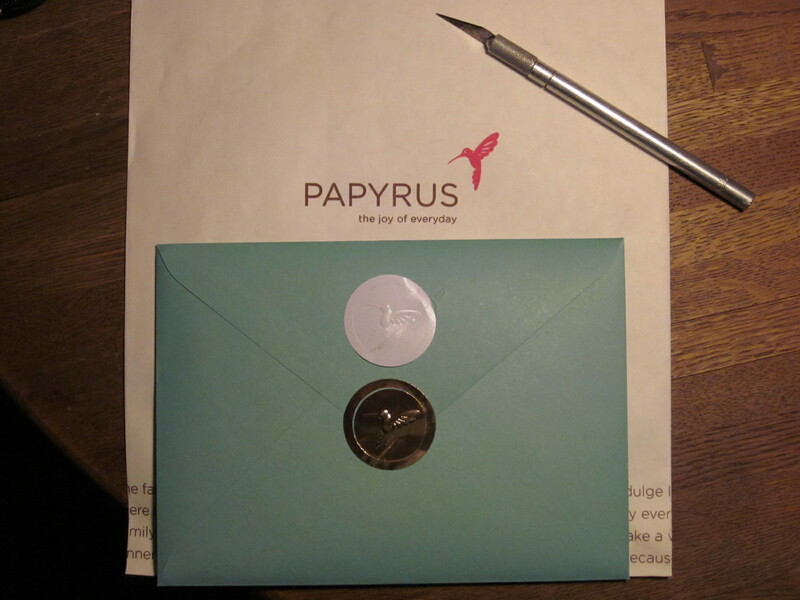 I just found this post because I Googled “how to seal a Papyrus card.” I was certain it was a trick. I tried licking the back because I thought maybe it you had to activate the glue. I’m glad I’m not the only one fumbling with these goofy stickers! Jess, it’s been years since I’ve thought about this post. But eventually, I realized that the little gold ring is not part of the actual sticker. I am so glad that seven years of college finally paid a dividend. Thanks for visiting and for commenting! Feel free to glance at my more recent blatherings whenever you have nothing better to do with your time.